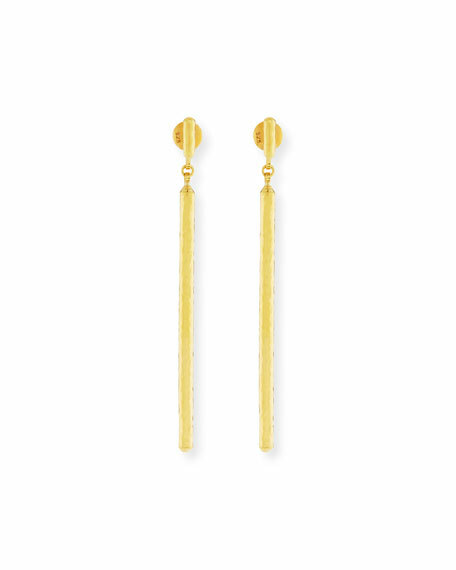 Gurhan linear drop earrings from the Vertigo Collection. 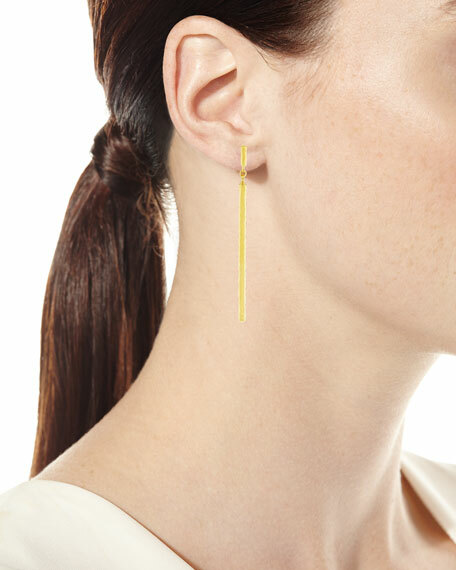 Signature 24-karat yellow gold hardware and posts. Short bead post with long linear dangle.